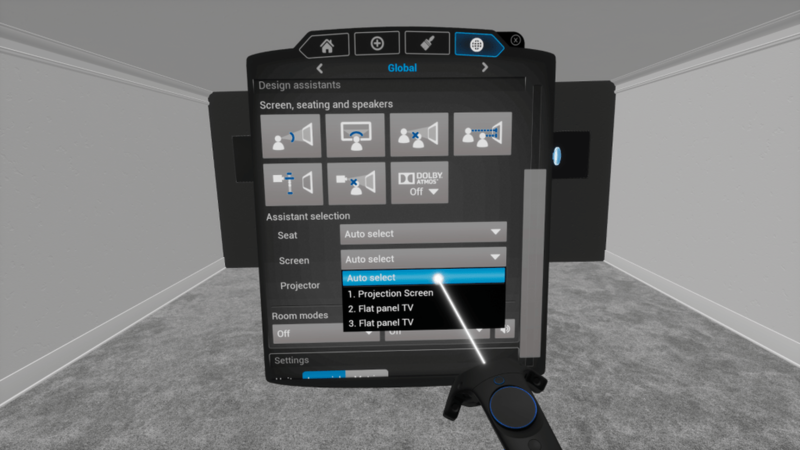 From spatial understanding, to design, to client experience, Modus VR gives you the tools necessary to better educate your clients, filling the gap between your knowledge and theirs, and building greater trust. 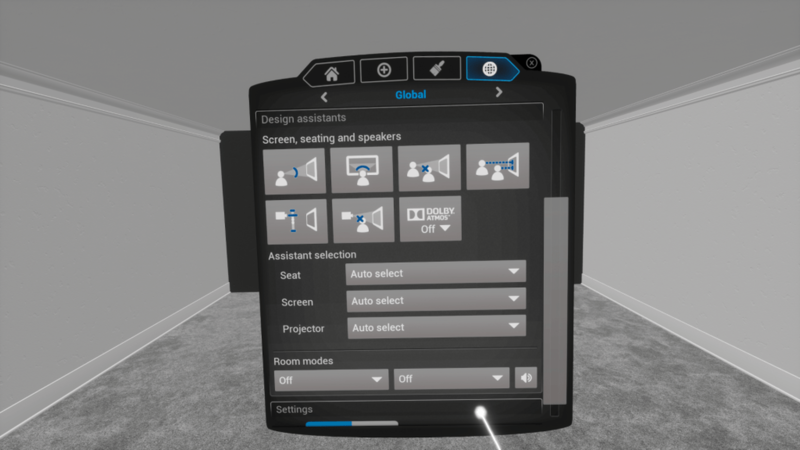 With the introduction of new assistants, Modus VR not only provides more feedback to ensure your design remains within spec, but it also provides more talking points, education points, and opportunities to accelerate the sales process. 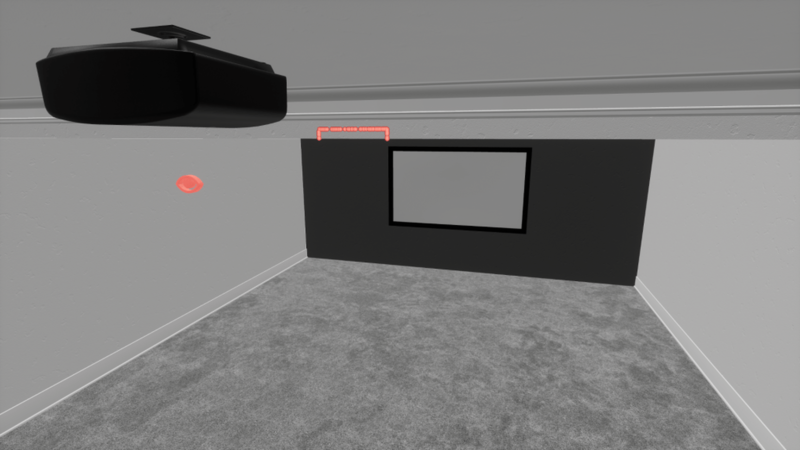 Modus VR also introduces more Dolby Atmos speaker layout options: 5.1.2, 5.1.4, 7.1.2, 7.1.4, 9.1.2, and 9.1.4. These options will help you to better educate your clients on speaker placement and design. This release includes 9 new features including 3 new assistants. New Viewer Distance Assistant! 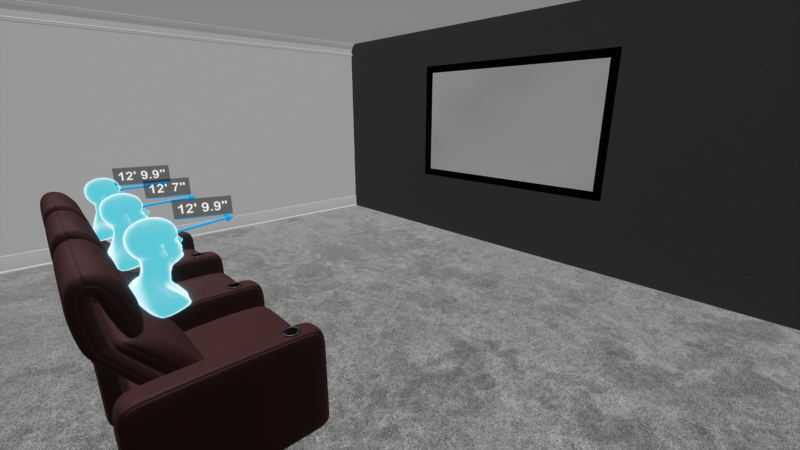 This assistant quickly lets you know the distance from each viewer to the screen. New Projector Elevation Assistant! 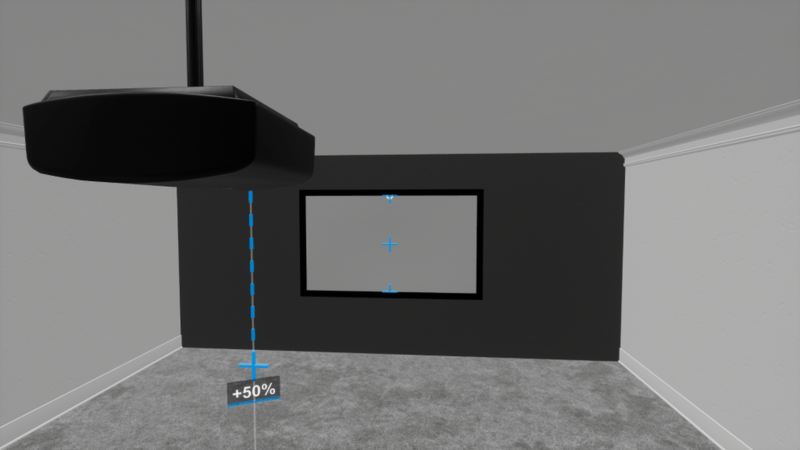 This assistant indicates the projector’s lens placement relative to the screen’s center. 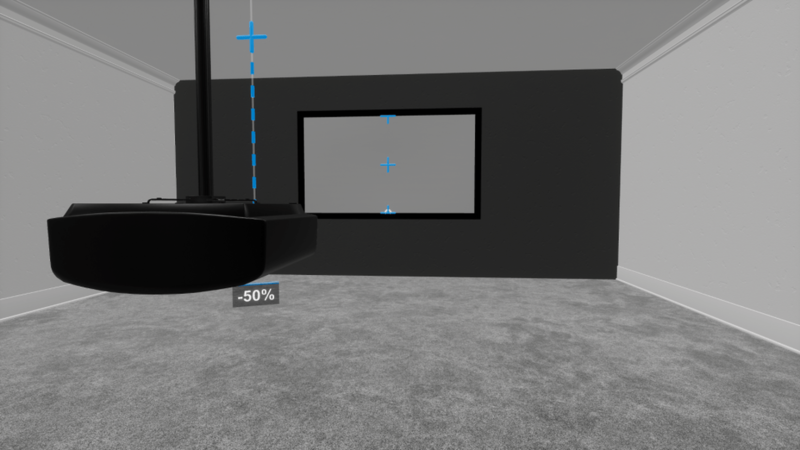 -50% means the lens is aligned with the bottom of the screen, 0% means it’s at the center, and +50% means it’s aligned with the top. 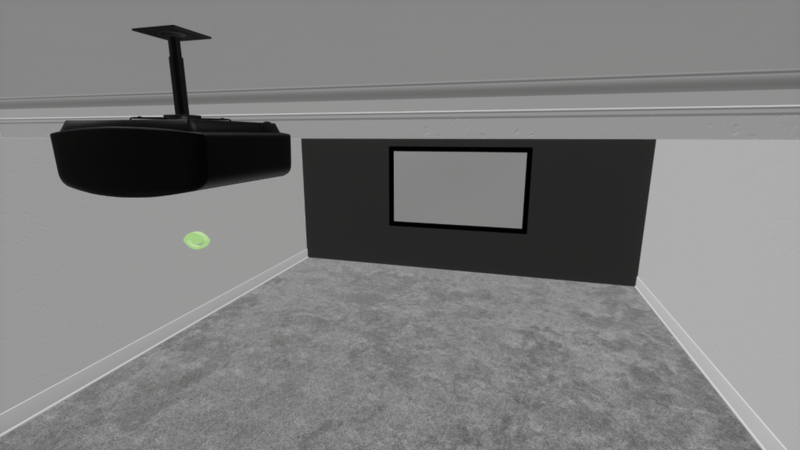 New Projector Sight Lines Assistant! 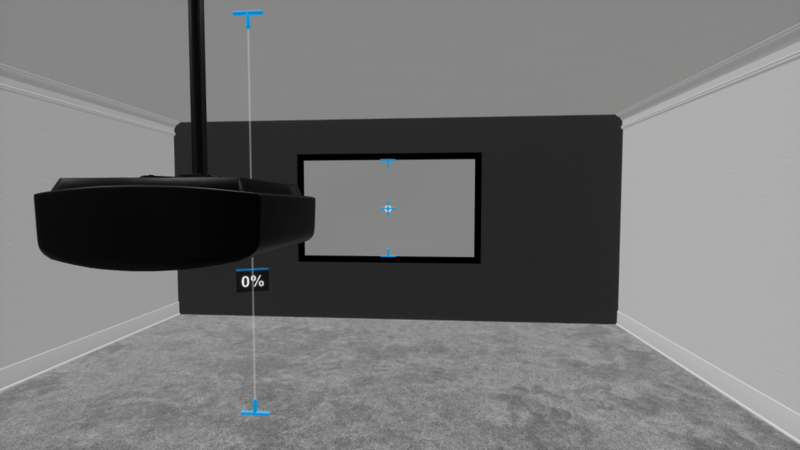 Similar to viewer sight lines, this assistant detects if there’s anything between the lens and the screen. If there is, the indicator below the projector will turn red and a red dotted outline will appear on any objects blocking its view. If the projector’s view is clear the indicator will turn green. Updated Dolby Atmos Assistant! 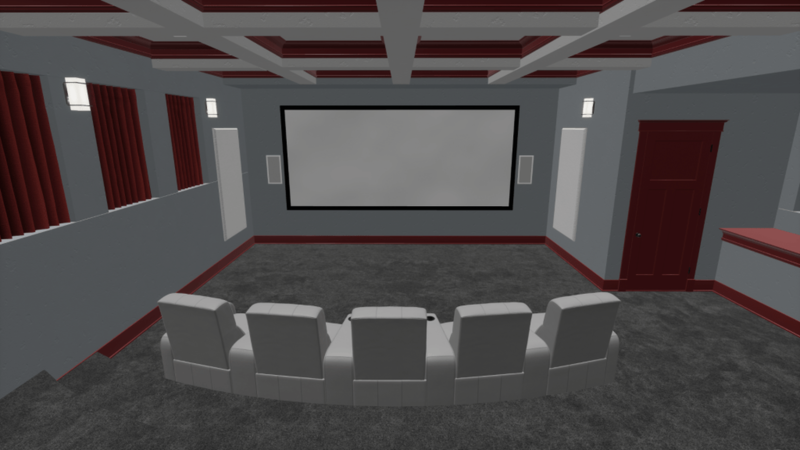 You can now select 5.1.2, 5.1.4, 7.1.2, 7.1.4, 9.1.2 and 9.1.4 speaker layouts. 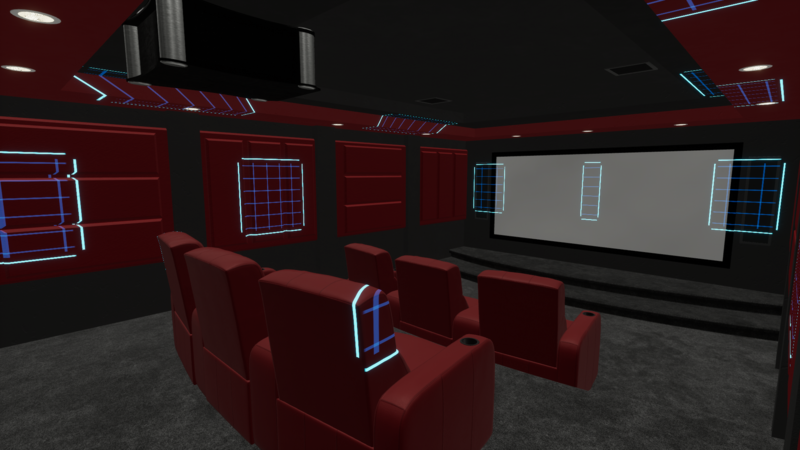 The blue grids below show proper speaker placement according to the Dolby Atmos specs. Assistant update: You can now manually select which seat, screen and projector is being used for the assistants. 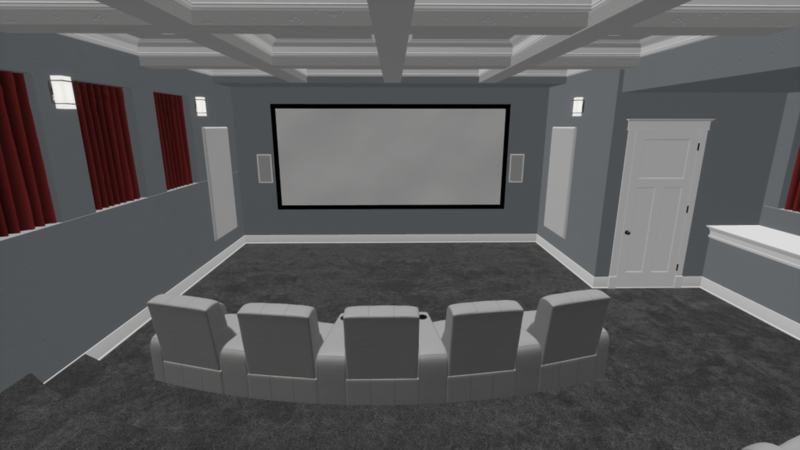 This is particularly helpful in rooms with complex seating layouts or multiple screens. Changeable trim color! Select a door or any object that has trim and the properties panel now includes a second color picker. For convenience, all trim will change color at the same time. Updated the projection screen properties to show the screen’s viewable width in addition to the viewable diagonal. 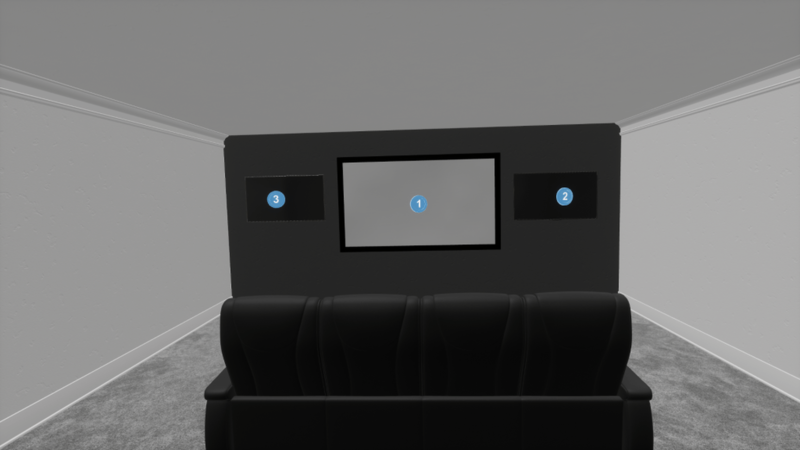 Added the following widths to the 2.35 projection screen presets: 10′, 12′, 13′ and 14′. 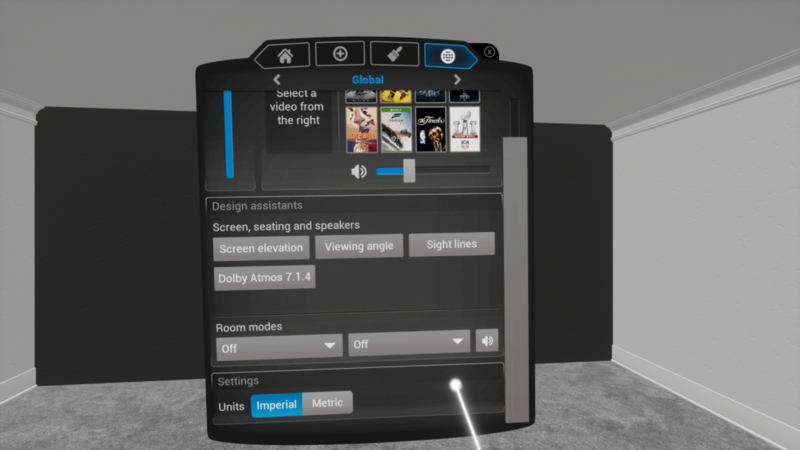 Fixed an issue where other VR users’ Room Modes dropdowns didn’t appear to open.